Another Satisfied Log Home Owner! This is a great time to buy a log home. Spring is right around the corner, we are all suffering from Cabin Fever, and what comes with Spring? Well, the snow melts, the days get longer, the Robins return from their winter roosts and us humans celebrate the coming of nice weather…and log home building season! 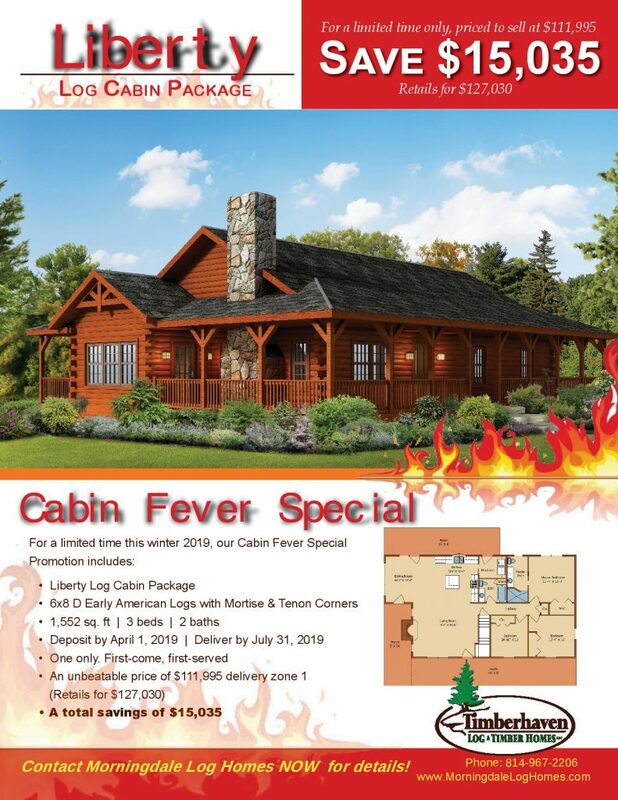 So, to help celebrate Spring and our new-found liberty of warmer weather and more outdoor fun, Timberhaven Log and Timber Homes and Morningdale Log Homes are offering a standard Liberty model log home at a remarkable discount for a very limited time on a first come, first served basis. If you are looking for a very nice 1552sqft, 3 bedroom, 2 bath, open floor plan traditional log home with lots of porches, then the Liberty model is the one just for you. The Liberty is one of Timberhaven’s more popular log homes. Plus, Timberhaven offers the most complete log home packages in the industry, each model is designed for strength and beauty to last generations! 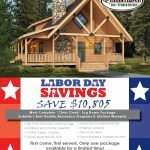 Now, with a discount of over $15,000 you can use that savings towards new appliances, curtains, furniture or whatever else you may want for your new Timberhaven log home! To get more information on this or other log and timber frame homes, contact Morningdale Log Homes at 814-967-2206. But hurry because this discounted model will not be available for long! SAVE THOUSANDS ON YOUR LOG HOME THIS WINTER! WANT A NEW LOG/TIMBERFRAME HOME? HERE’S AN EARLY CHRISTMAS PRESENT!